Next up from our 2011 Diamondbacks Fan Fest haul is Xavier Nady. Xavier has previously spent time with the Padres, Mets, Pirates, Yankees, and Cubs. 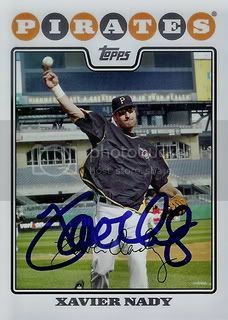 Here is the 2008 Topps Series One card that he signed for us.